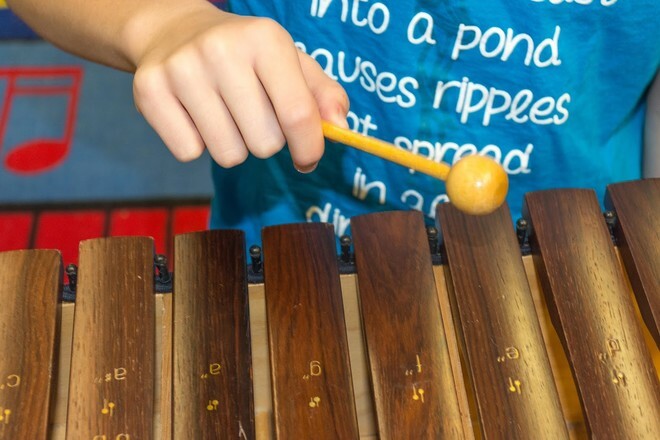 Our elementary music education is largely based on the goal of developing a sense of rhythm and musical independence through movement, dance, exploration, improvisation, and performance. Students do this with experiential, active participation in theory, exploration of sound, and performing instrumentation. Many of these goals are accomplished with the assistance of percussion instruments such as xylophones and wind instruments such as the recorder and keyboards. 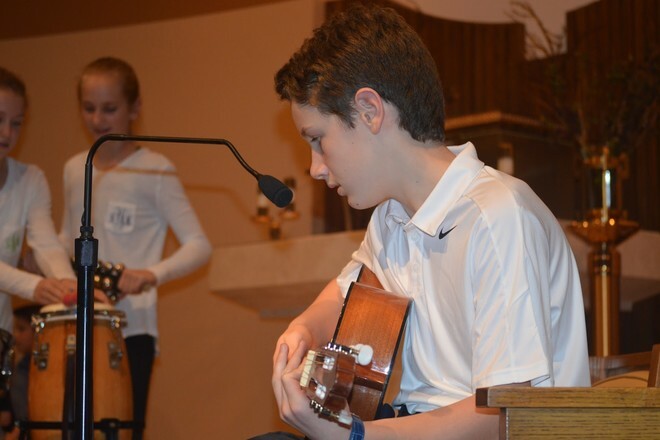 Students explore a wide variety of musical opportunities. They begin with observation and learn how to imitate and recognize sound. 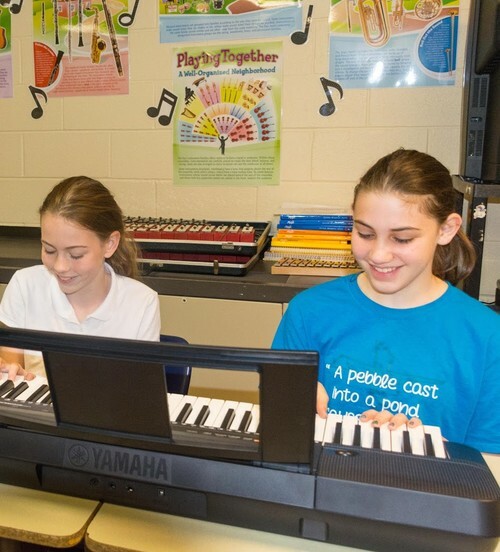 They soon explore a wide variety of percussion instruments (pitched and unpitched) and after the first year of music theory and practice are completed and the students have mastered the techniques, more complicated instruments, such as keyboarding, occurs and students can start exploration and creation within the musical process. We believe that children need to be challenged to think in different ways and the key to this approach is active participation by the student within the different stages of the learning process. Our Music Program is coordinated by Mr. Chris Dunn. He can be reached at: dunnc@qasstl.org.